This guide is designed to provide Air Force military spouses with enough information to know what questions to ask ...and, who to ask to fully understand the answers! 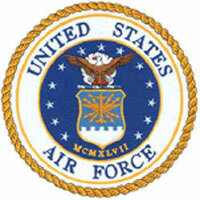 Air Force 101 was developed in response to Air Force military spouse requests for a “spouse battle book” – a one-stop resource on the basics of life in the Air Force. Check out USMC Life an online Resource for Marine Spouses. SpouseLink is Linking Military Spouses Around the World and Macho Spouse is teaming up with them.